In October of golden Autumn, the wind is cool. 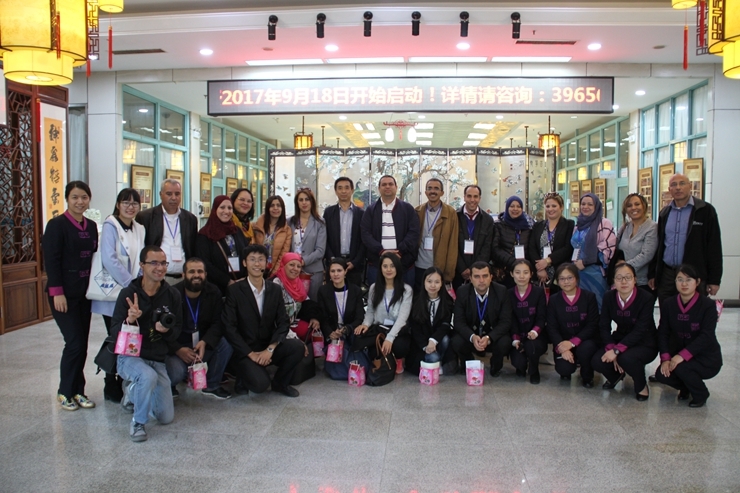 At two p.m. of 23, October, Dalian Sun-Good Traditional Chinese Medicine Hospital welcomed delegation from the Republic of Tunisia, which was received by international division of the hospital. In recent years, the traditional Chinese medicine has been growing increasingly popular, and foreign visits both official groups and individuals received by Sun-Good shot up. 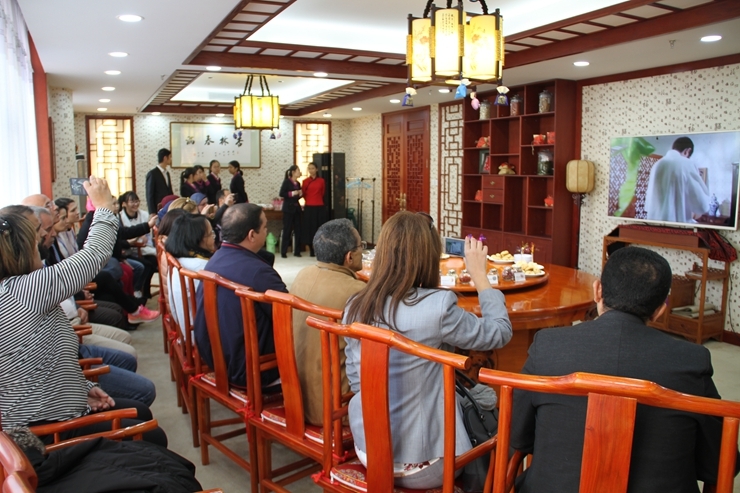 Sun-Good which offers experiences on Chinese medicine culture, TCM physical therapies, Chinese herbal cuisine and medicinal teas and pastries, has become one of the key sites for foreign visitors in Dalian. 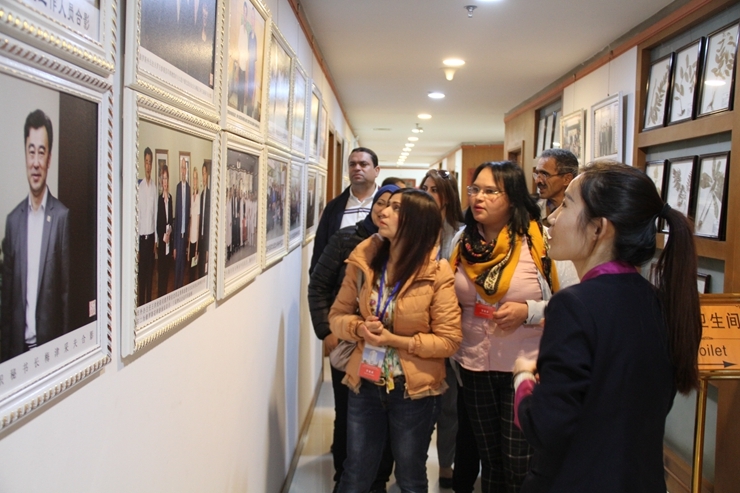 Sun-Good hospital divided the delegation into two groups and offered both English and Arabic languages reception services and introduction to Chinese medicine culture and the hospital. Walking into the lobby, the guests were surrounded by Chinese herbal smell. Seeing TCM historical corridor, specimen show, plagues, literatures, pictures, prescriptions, old items and relics collection room, they felt surprised. While they saw Arabic introduction, they felt cordial because their official language is Arabic. They asked the introducer where you have studied Arabic; your teacher is foreigner or Chinese. 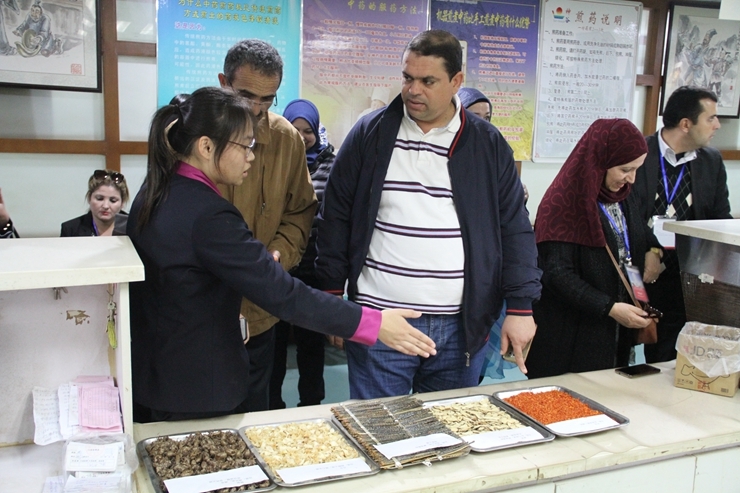 As they knew that the introducer has been to Tunisia further study, they are excited, never thought such a private hospital are devoted so much to spreading out Chinese medicine culture and treatment and to promoting international culture exchanges, equipped with five languages including English, Russian, Japanese, Korean, Arabic. Chinese herbal cuisine and health teas, such as rose, wolf berry crisp, black wolf berry tea, Solomon’s Seal tea, Chinese wolf berry and chrysanthemum tea, etc. After experiencing physical therapy such as acupuncture and massage, they exclaimed: Chinese medicine is amazing, is a great treatment. When they got diagnosed by Chinese medicine doctors, they said they cannot imagine doctor can get accurate diagnosis without using modern equipment. 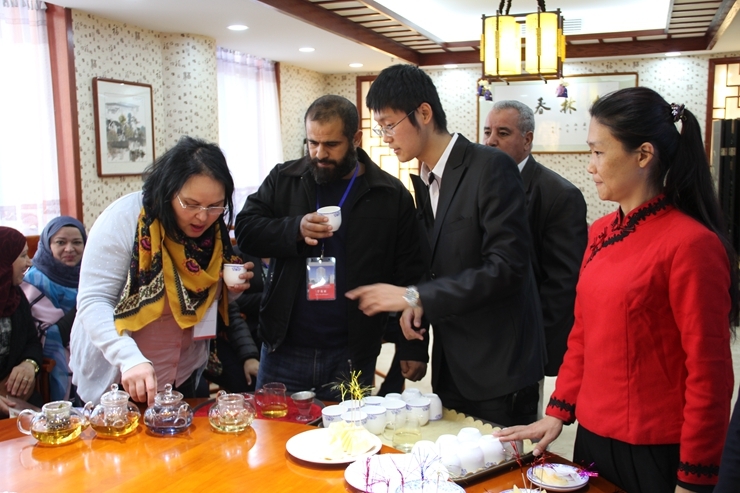 The visit and experience enabled them to understand more why Chinese medicine got popular recent years. Before leaving the African friends said sincerely that they would like to tell their people about us and the magic Chinese medicine.